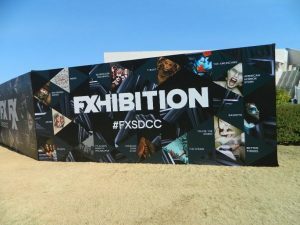 FXhibition is coming back to San Diego Comic Con! You’ll be able to interact with the networks most beloved shows, through art and interactive technology! For the first time, FXhibition will incorporate NFC (near field communication) as part of innovative installations from hit shows such as Legion, American Horror Story, Mayans M.C. and Archer. This is all taking place on the lawn of the Hilton San Diego Bayfront Hotel! 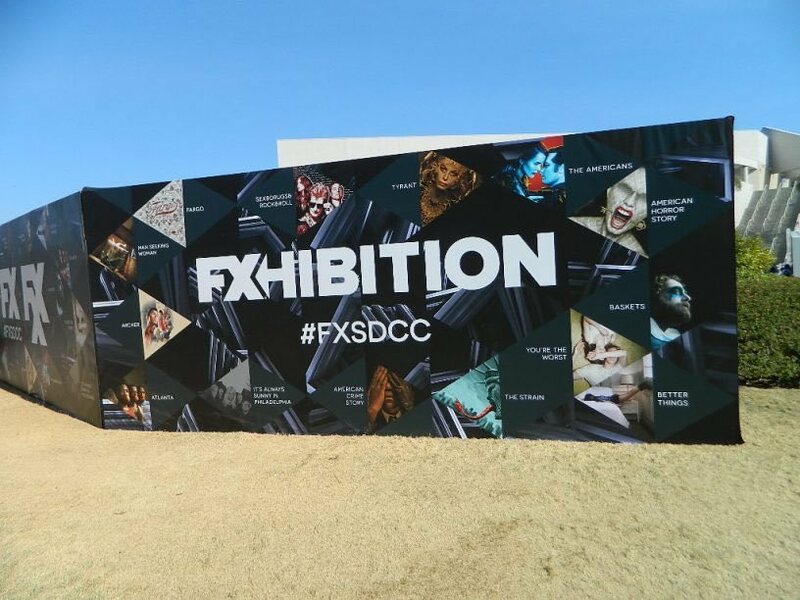 FX’s recent Los Angeles-based pop-up “The LEGION Chamber” art instillation will make its Comic-Con debut, allowing cosplayers the thrilling opportunity to immerse themselves in an audiovisual experience commissioned by the internationally-acclaimed Marco Brambilla Studio. Once inside, participants will find themselves disconnected from the outside world -literally- and fully entrenched in the hypnotic digital realm of David Haller. Fans will also have the opportunity to step inside the “AMERICAN HORROR STORY Eccentricities Gallery,” featuring a collection of art and oddities inspired by AHS lore. The experience is aided by Augmented Reality (AR) technology, which reveals the secrets behind the objects and clues to the series’ upcoming eighth installment. Mayans M.C. Deconstructed Bike Zone: The ultimate photo-op for biker fans. The deconstructed motorcycle is a bold display to introduce Mayans M.C., the highly-anticipated series from Kurt Sutter, creator of Sons of Anarchy. It will also feature a gallery of other acclaimed artists’ takes on the new series, including El Mac, David Flores and Oscar Magallanes. Archer Sound Boxes: Fans will have a once-in-a-lifetime opportunity to get inside the heads of their favorite Archer characters with this whimsical installation by capturing a photo of themselves inside suspended sound boxes adorned with character art. Each sound box features classic sound bites from the show. Sunny the 13th Sunscreen and Water Stations: FX will bring Camp Paddy’s Irish Pub to FXhibition in celebration of the upcoming 13th season of It’s Always Sunny in Philadelphia. The space will feature playful camp-themed elements including a photo op, sunscreen and water stations. FX 3D Me: Any fan can become an FX hero: Just by stepping into a state-of-the-art 360-degree scanner that captures your picture from all angles, you’ll be transported into a digital art piece from your favorite show. Participating fans will also have an opportunity to get a physical 3D figurine model of themselves.